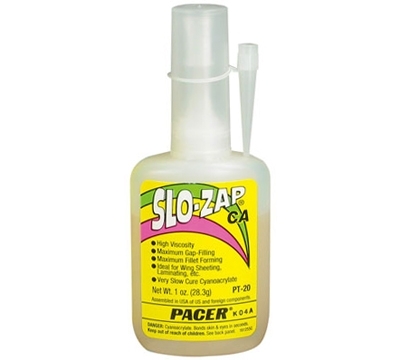 Slo-Zap is a thicker high-viscosity super glue with a slower set time, giving you more time to position your work. It bonds especially well with tips and other porous materials. 1 oz bottle.